So matters went till that night when Williams brought home the infamous Necronomicon of the mad Arab Abdul Alhazred. 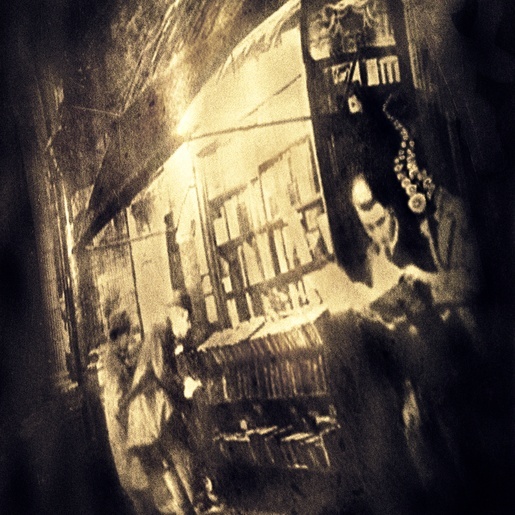 He had known of the dreaded volume since his sixteenth year, when his dawning love of the bizarre had led him to ask queer questions of a bent old bookseller in Chandos Street; and he had always wondered why men paled when they spoke of it. 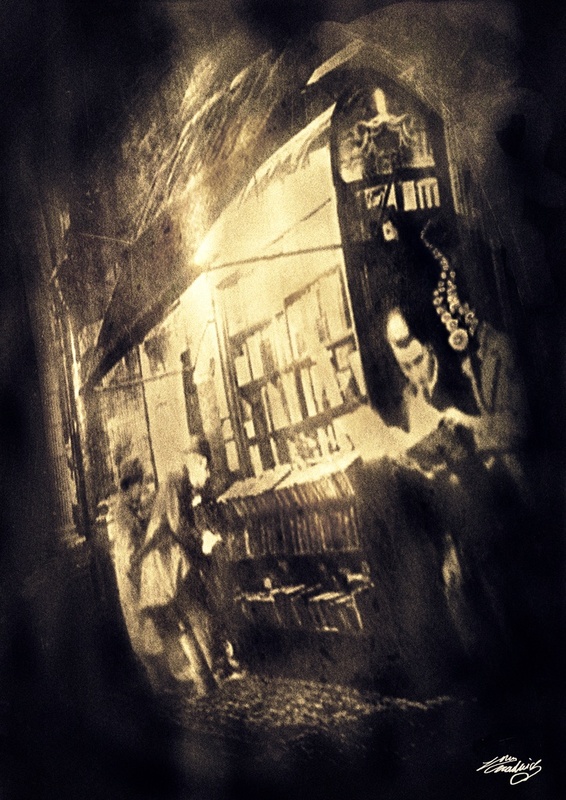 The old bookseller had told him that only five copies were known to have survived the shocked edicts of the priests and lawgivers against it and that all of these were locked up with frightened care by custodians who had ventured to begin a reading of the hateful black-letter.